Thursday night as I passed through the Black Lodge’s unmarked, warehouse doors, I took a peek at the sheet of bands for the night, and overheard someone say, “It’s gonna be psychedelic!” Before hearing that, I might have thought of the lineup as primarily dark, punk influenced, thought provoking rock (except perhaps Bad Blood, who add a party vibe to the mix). However, it was that simple phrase that stuck in my head all night, and rang true as the unifying theme through them all. First up were local garage punks Gang Cult, and they set the tone for the night with reverberant vocals layered over catchy, deep bass and precise drumming. Singer Aaron Kempley introduced their song, “We’d Party” with a wry smile and the crowd chuckled. “You know like, We Would Party…” he protested, but everyone could read between the lines. It proved to be the highlight of the set, and got everyone’s heads bobbing and feet moving. Bad Blood and their crowd of admirers were decked out in fur, cutoff jean vests, long luxurious hair, and head to toe denim, transforming the room into a party out of the movie Almost Famous. They channeled the ’70s brilliantly, bringing just the right blend of big sounding guitars and noodling keyboard solos. They alternated seamlessly between celebratory songs and slower, reflective moments. Sometimes the bassist would sit off to the side, or one of the singers would get in the crowd and dance, bringing a relaxed, living room feel to the scene. Crowd members offered booze and hugs, and the band gladly accepted. 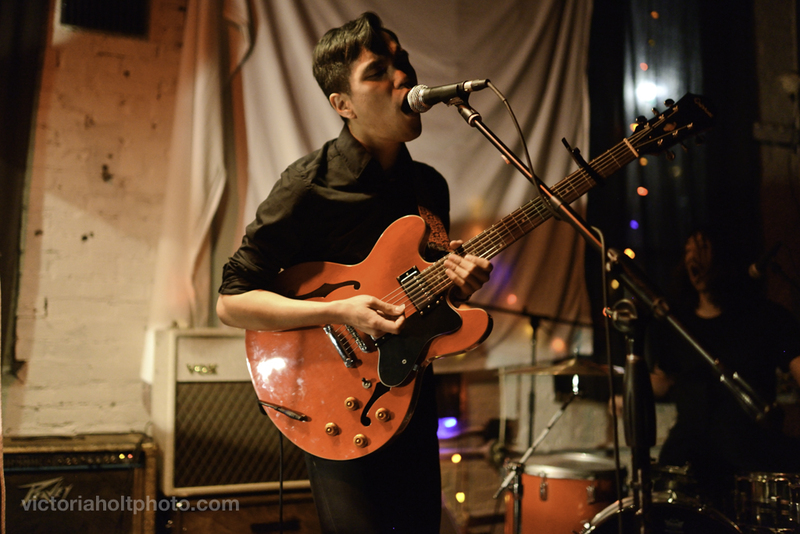 With Future Twin, we returned to the present day, and to garage punk glory. The band hails from San Francisco, where each member is involved in political and musical projects, staying involved in their home scene. 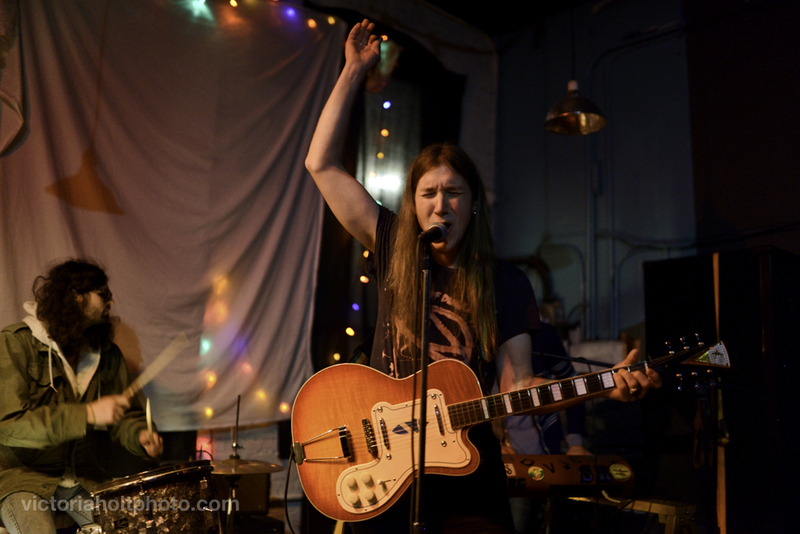 Singer/guitarist Jean Yaste is cofounder of the all girls moped gang The Lockits, and is heavily involved with the San Francisco Community Land Trust, protesting the housing changes taking over the beloved city by the bay. 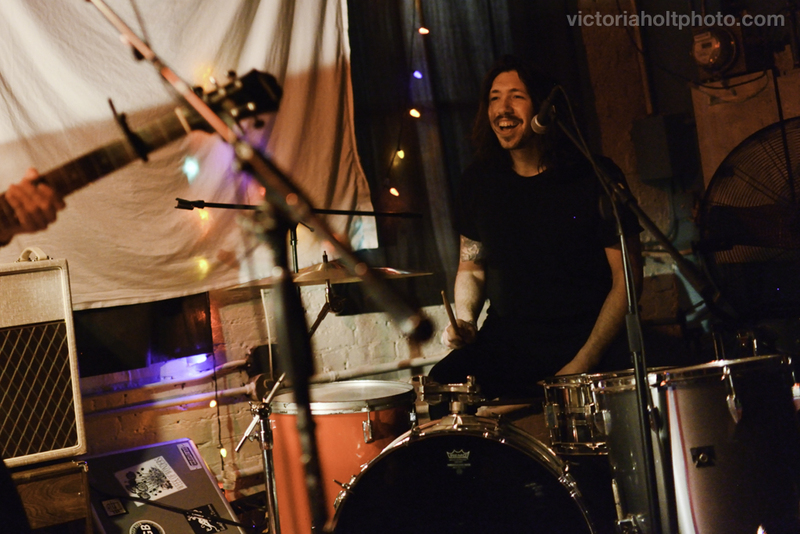 Drummer Tyson Vogel is well known for his main project, blues folk duo Two Gallants. 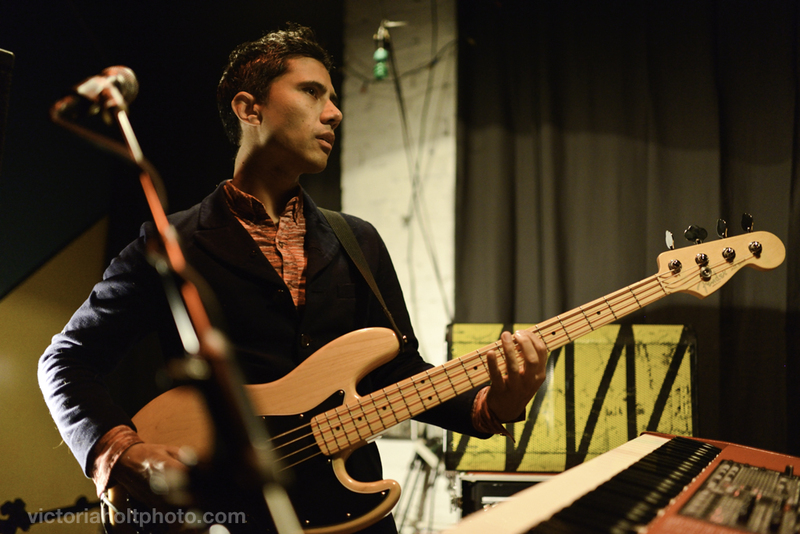 He joined up with Future Twin after previous drummer Antonio Roman-Alcalá went on a hiatus from the band. 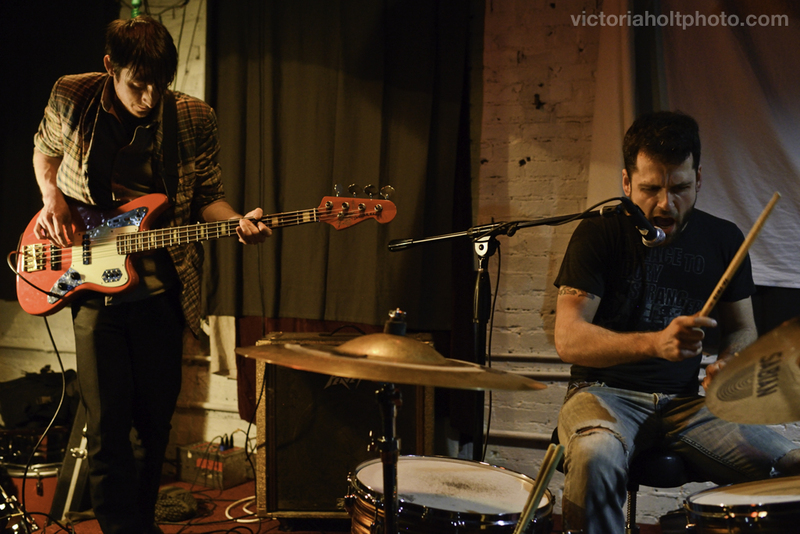 Dan “D.K.” Kennedy rounds things out on bass and keyboards, switching strings halfway through the set with Yaste. Vogel’s intense, theatrical drumming made for a fantastic spectacle during their set. He would lean back and forth into his rhythms, looking to Yaste or D.K. for cues and to stay connected. The band was incredibly tight, setting up the perfect foundation for Yaste to wail into the mic, her spacey punk vocals sailing out into the crowd. They played their newest single, “We’re Here,” and are in the process of recording for their debut full length, to be titled Wavelength Sovereignty. Their name, as described on their Facebook, is about how “we design our lives towards who we want to be, becoming our own future twin.” The band’s progressive politics and forward thinking were refreshing and inspiring. 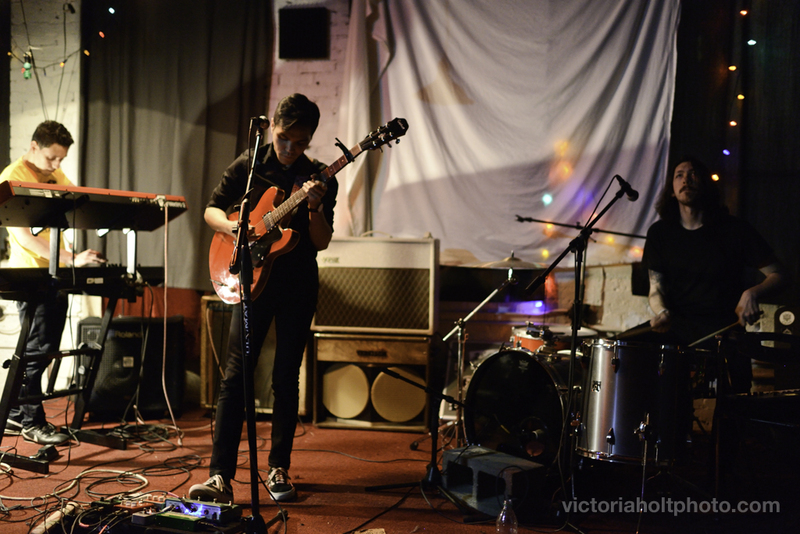 Last on the bill were Seattle’s jangly garage pop band Charms. They were explosive, off-kilter, and fantastic, singer Eleazer Tolentino writhing around on stage with his guitar, stabbing out solos at lightning speed. 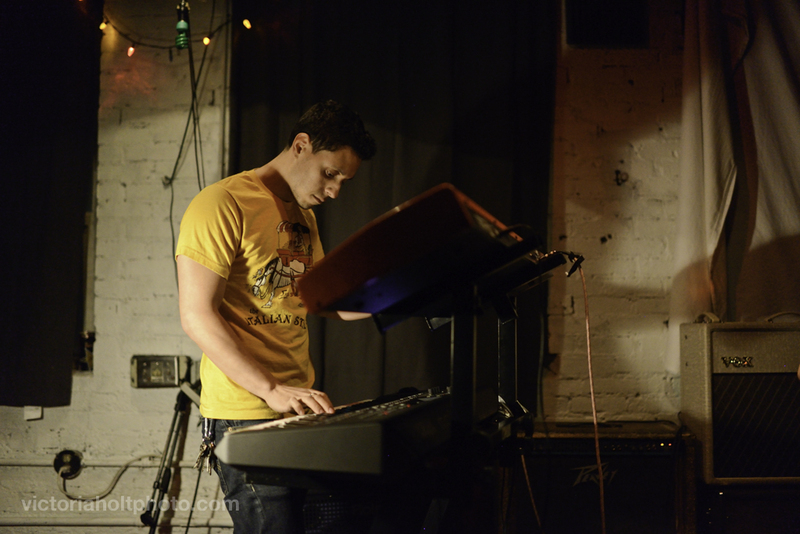 Keyboardist Josh McCormick was stoic and concentrated, throwing in wild notes here and there. 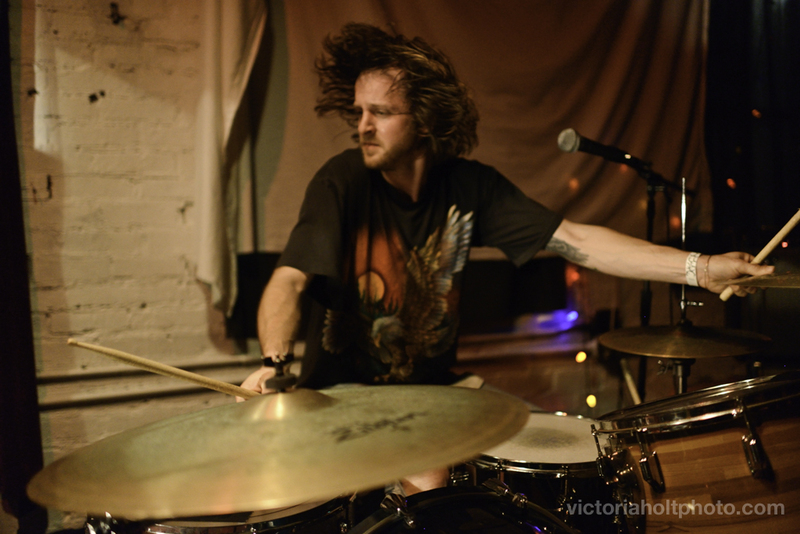 Drummer Ray McCoy has a definite Dave Grohl vibe, dark hair flying with a sweet sense of humor. While McCormick and Tolentino were getting ready for a song, he sat staring at them in quiet anticipation, forcing a ghoulish smile that gave him multiple chins. Their song, “Open Wide,” was included on the compilation Isaac Loves You, Especially You, put out by local recording studio BLDGs, which was named album of the month for March in City Arts Magazine. Run by Aaron Schroeder, the studio has been making waves, recording such local talents as Childbirth, Detective Agency, Killer Ghost, and The Dumps. 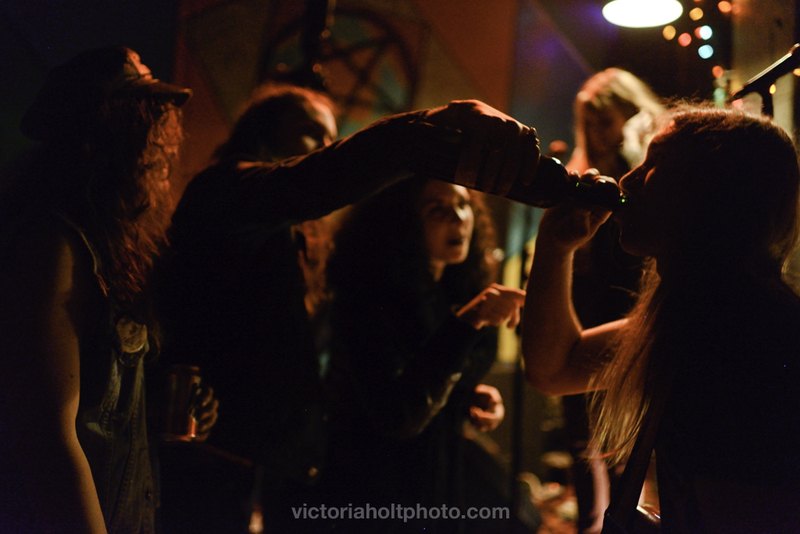 In true Black Lodge fashion, the night was a perfect blend of local and out of town gems. 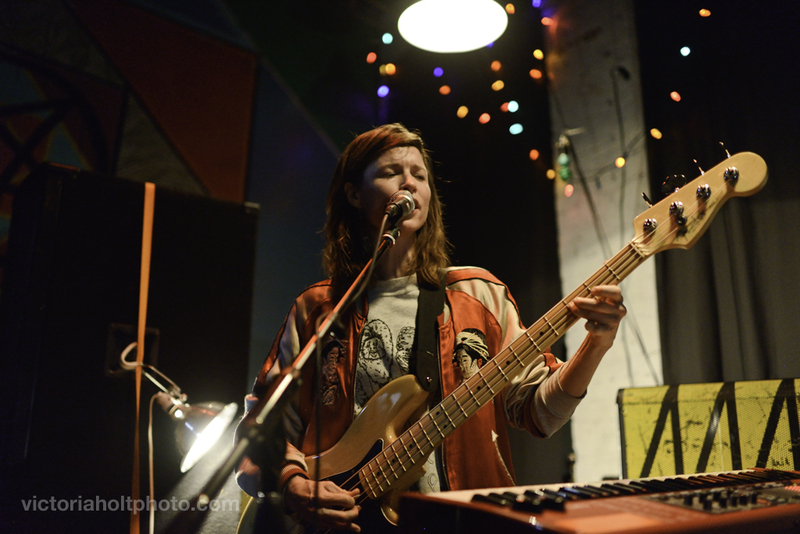 Future Twin went on to play the Treefort Music Festival in Boise, ID, and will return to San Francisco’s Brick and Mortar Music Hall on Sunday, March 23rd. The lineup for the night. The epic DJ between sets, high above the crowd in the soundbooth.